The Jewish Labour Movement and the Zionist lobby have got their teeth into another anti-racist. 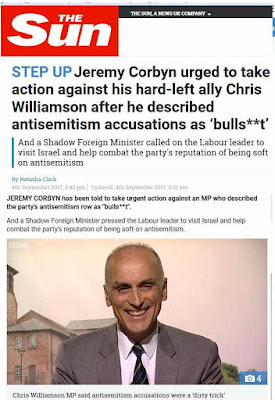 Having politically lynched Jackie Walker last year and demonised Ken Livingstone this year they are now targeting Chris Williamson, the MP for Derby North. His offence? Saying that anti-Semitism has been weaponised. 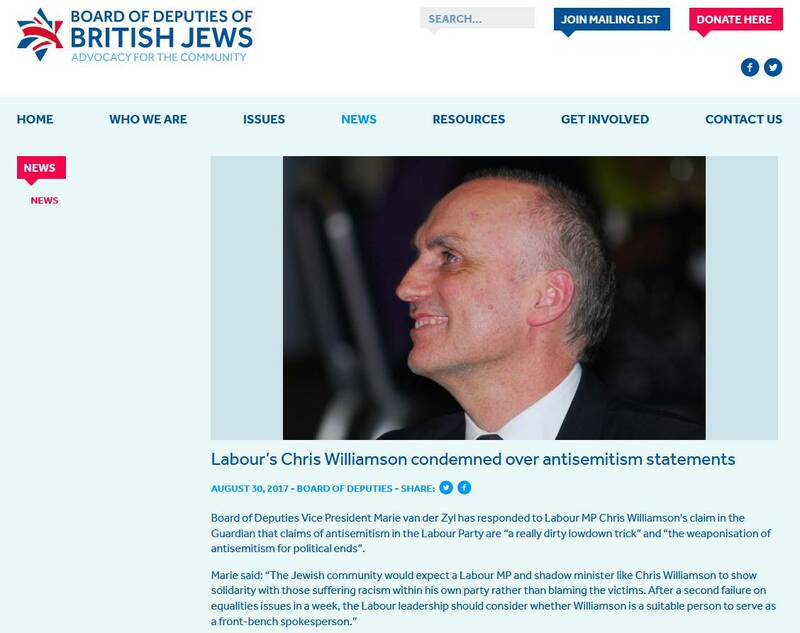 According to the Jewish News [Labour MP again claims anti-Semitism has been ‘weaponised in cynical and manipulative way’] Chris said that he stood “in absolute solidarity with anyone who is a victim of anti-Semitism or other forms of racism, as the Labour Party has done. Anti-Semitism is repugnant and a scourge on society”. 'Antisemitism used to be people who hated Jews. Now it's people who Jews hate'! None of us have witnessed anti-Semitism because it doesn’t exist in the Labour Party. What we are seeing of course is an attempt by the supporters of the world’s only Apartheid State to use bogus accusations of ‘anti-Semitism’ as a means of deflecting attention where it should be focussed – on Israel’s horrific starvation siege of Gaza, its murder of Palestinian civilians in the West Bank, its house demolitions and evictions. Those like the JLM wite the JLM being a member of the Word Zionist Organisation, a body which funds settlements in Palestine. Marie van der Zyl of the Board of Deputies told Radio Derby that the MP’s suggestion of “weaponisation” was “absolutely offensive. What some of us find offensive is spurious accusations of anti-Semitism being made, repeatedly, against anyone who criticises the Israeli state. 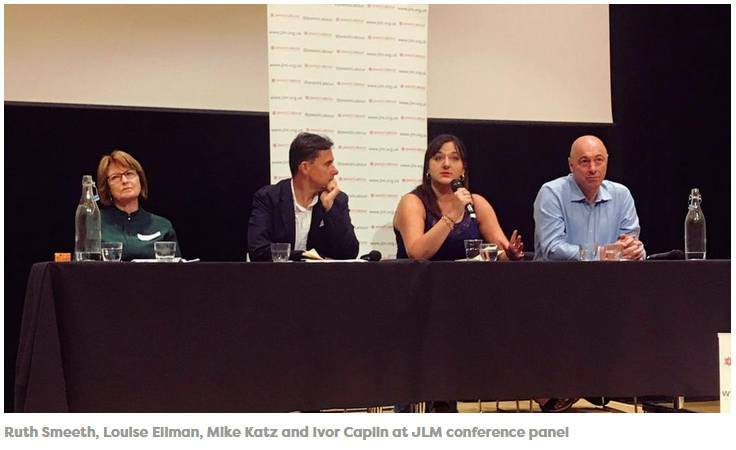 If the Jewish Labour Movement, Marie van der Zyl and the Board of Deputies are seriously concerned with opposing anti-Semitism then they can start a little bit nearer home. This blog [EXCLUSIVE – Lifting the lid on Collaboration between the Far Right and Zionist Activists] and Electronic Intifada [Far-right Britain First fosters ties with Zionist movement] have just exposed how Jonathan Hoffman, a former Vice-Chair of the Zionist Federation, demonstrated outside the Palestine Expo 2017 conference recently with a neo-Nazi, Paul Besser of Britain First. Hoffman is a member of the Board of Deputies. Why hasn’t he been suspended? 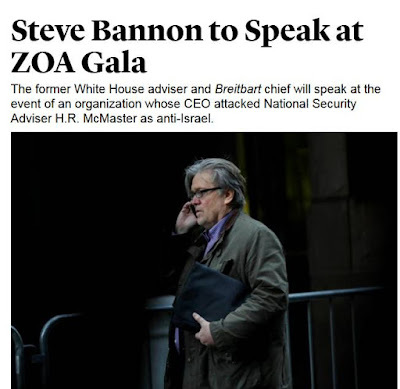 Perhaps if Marie van der Zyl, the JLM or any other Zionist sock puppets are really concerned about anti-Semitism then they will first remove a member of their own organisation who works openly with neo-Nazis. Then they might turn to members of NW Friends of Israel who demonstrate alongside the EDL, as has Hoffman and his friends. Instead they have kept quiet about the racists in their own movement, people who are happy to work side by side with genuine anti-Semites and fascists. Jonathan Hoffman, a member of the Board of Deputies of British Jews alongside Paul Besser, Intelligence Officer for Britain First, the group Thomas Mair who killed Jo Cox, was associated with - with Marie van Zyl take action against her own members before poking her nose into Labour Party affairs? Today neo-Nazis and the anti-Semitic far-Right are wholly in favour of Israel. Israel is seen as the most hostile anti-Muslim and anti-Arab state in the world. Richard Spencer, a neo-Nazi and founder of the Alt Right in America told Israel’s Channel 2 in an interview that he was a White Zionist. 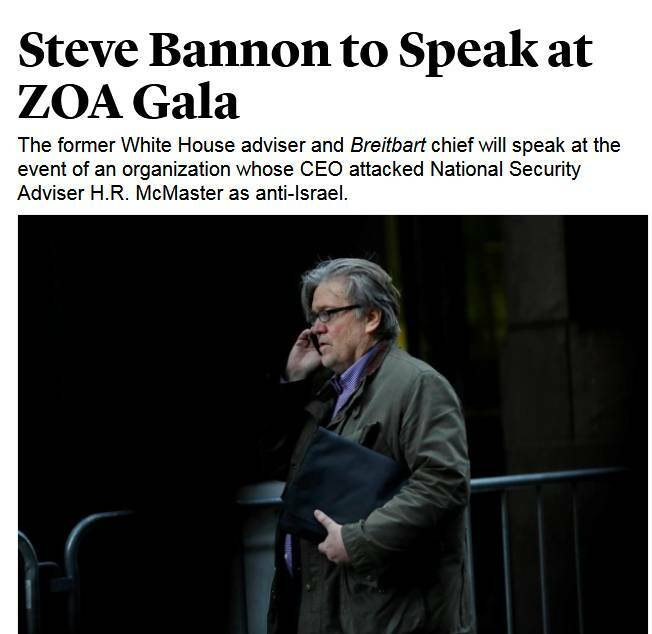 He is absolutely enamoured with how Israel deals with non-Jews e.g. by preventing mixed marriage and how it relegates Arabs to the margins of Israeli society. He would like to do that with Jews in America. None of this should be any surprise. Netanyahu has just come back from a trip to Hungary to meet fellow racist and Hungarian Prime Minister Viktor Orban. Orban is busy rehabilitating the pro-Nazi ruler of Hungary during the War, Admiral Horthy who presided over the deportation of nearly ½ million Jews to the gas chambers. Orban is today also pre-occupied with attacking, via anti-Semitic posters, George Soros, who was a child survivor of the Holocaust. Soros though is an enemy in Netanyahu’s eyes because he funds Israeli human rights organisations. Yes in Israel no one is demonized more than a handful of Israeli NGOs who monitor and expose what Israel is doing in the Occupied Territories. See George Soros upset by 'antisemitic' campaign against him in Hungary. 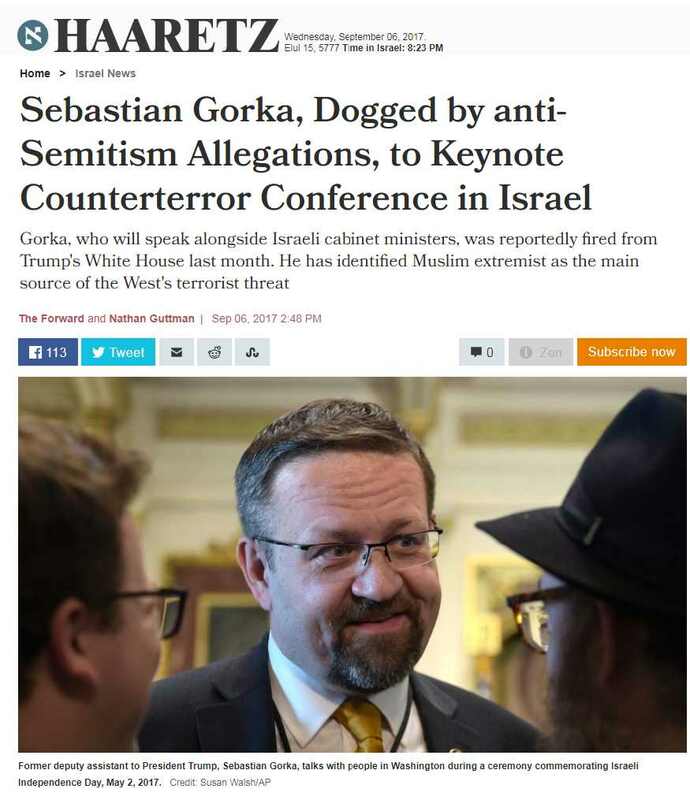 It is a constant of Zionist discourse that anyone supporting the Palestinians or opposing their treatment by Israel is accused of ‘anti-Semitism’. 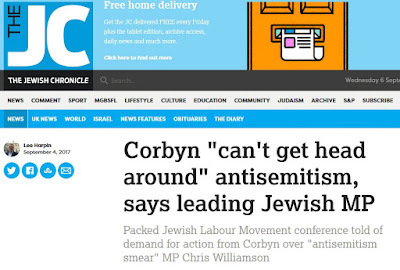 An example of this occurred at the Chakrabarti Report press conference itself when Marc Wadsworth, a Black anti-racist activist, accused Labour MP, Ruth Smeeth, a spin doctor for BICOM, the main Zionist propaganda group in this country, of feeding information to The Telegraph. Former Israel lobby spin doctor aims for seat in UK parliament, Wadsworth made no mention of Smeeth being Jewish, indeed he didn’t know she was Jewish, yet this was spun by Smeeth and the media as being an anti-Semitic incident. I am though interested to know what Smeeth means by ‘our cause’. It’s not socialism she is talking about! She is talking about the cause of Zionism i.e. Israel inside the Labour Party. Suffice to say that well-known anti-racist paper The Sun got into the act. [Jeremy Corbyn urged to take action against his hard-left ally Chris Williamson after he described antisemitism accusations as ‘bulls**t] Even the Sun opposes 'antiSemitism'!! 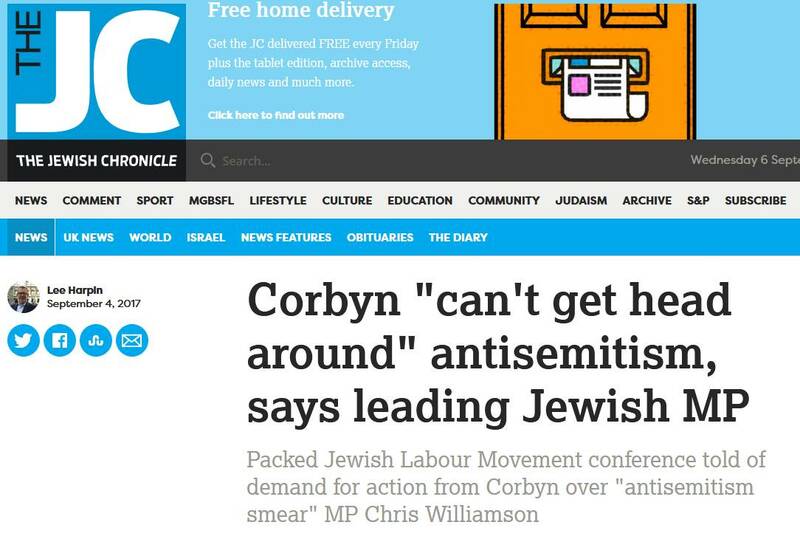 Isn’t it strange how every racist tabloid in Britain is concerned about ‘anti-Semitism’. It is to be hoped that Jeremy Corbyn will now stand up to the Zionist lobby, after the General Election, because if he doesn’t he will make a rod for his own back. The Zionists will not be appeased. Anyone who raises their head above the parapet in support of the Palestinians or in opposition to Zionism will be attacked for anti-Semitism whereas the real racists are the JLM and everything they represent. They boast of being the Israeli Labour Party’s ‘sister’ party , a thoroughly racist anti-Arab party and we should take them at their word.